Physical Death- separation of the person from the body. Spiritual death- separation of the person from God. Eternal separation of the un-repentant sinner to Hell. And now there is an announcement in the court. YOUR SENTENCE HAS BEEN PAID – YOU ARE FREE. You can go free. Your sentence has been paid by the judge. The judge has taken your place. Your offenses have been forgiven. The indictment is sealed. OH MY!!!!! ARE YOU KIDDING ME???? The Judge took my sentence. How do I deserve that? Could that be possible? Oh yes, it is so. Jesus was put to death on the cross for you. He paid the price for your sins and the sins of all mankind. The Judge paid the sentence. Amazing!!! The Miracle “For the wages of sin is death; but the gift of God is eternal life through Jesus Christ our Lord.” (Romans 6:23) This is Justification, The Gift of God is Eternal Life. The nature of this miracle, it is free… “Being justified freely by His grace through the redemption that is in Christ Jesus.” (Rom. 3:24)– “Justified Freely”- without a cause. Because of his Holy grace. The persons in the miracle, He for you. – God sent forth… “Whom God hath set forth to be a propitiation through faith in his blood, to declare his righteousness for the remission of sins that are past, through the forbearance of God.” (Romans 3:25) This word PROPITIATION is very important. It’s a Biblical word that we don’t often use in our vocabulary. It means that an atonement has been made through a sacrifice of blood. A sacrifice of Christs blood and His death on the cross has saved us. Holy Spirit- taught it 1 – 3 is the Justification miracle. See the trinity at work? The Bestowal of this miracle – limited (Rom. 3:22,26) Only to those that believe. Being justified freely by His grace through the redemption that is in Christ Jesus. (v24) God does this freely because of His grace and love for me, I am an undeserving sinner and I have been made an heir of His glorious kingdom to spend eternity in His glorious presence in the fullness of joy and pleasure for evermore. Amen! If you have never, as of yet understood “Justification.” Please understand it now. Justification is a one-time act of God and an extremely important doctrine. Sanctification is a continual process until you are taken to be with the Lord. We will talk Sanctification another time. Understand this Justification by Faith Alone doctrine first. Because man’s condition was totally ruined by sin, salvation is based on a truly remarkable principle. We are justified freely by His grace. Pay close attention to the words “justified,” “freely” and “grace,” those three words summarize how God meets ruined man’s needs. “Justification is the legal and formal acquittal from guilt by God as the Judge, and the pronouncement of the believing sinner as righteous in His sight. This verb is in the present and continuous sense and shows a constant process of justification in the succession of all who believe and are justified.” Can you see the difference between being forgiven and being justified? When you are saved you can plead not guilty and your case is dismissed. The Lord Jesus has fully discharged all our obligations so there is no legal ground for charges to be pressed on us anymore. We have a perfect standing before God and are fully acceptable in His sight. And we are justified freely, he does not charge us anything. “By His grace.” Just to be clear… Grace is unmerited favor. It is getting something we do not deserve. How remarkable!!! I think it’s important to clarify this as well. Salvation is free, but it is not cheap. It cost God his only begotten son and it cost Jesus the agony of dying on the cross. The blood Christ shed for us is very precious. “Forasmuch as ye know that ye were not redeemed with corruptible things, as silver and gold, from your vain conversation received by tradition from your fathers; But with the precious blood of Christ, as of a lamb without blemish and without spot.” (1 Peter 1: 18-19) The cost of Calvary is far beyond any human comprehension. It is! The witnesses of this miracle. “Witnessed by the law and the prophets.” (Rom. 3:21) It is totally scriptural. “And beginning at Moses and all the prophets, he expounded unto them in all the scriptures the things concerning himself.” (Luke 24:27) “And these all, having obtained a good report through faith, received not the promise” (Heb. 11:39) “Of which salvation the prophets have enquired and searched diligently, who prophesied of the grace that should come unto you.” (1 Pet. 1:10) – Prophesied of the grace. The Legal accomplishments of the miracle – To reconcile God’s justice and God’s mercy by a mediator or bridge. We said it before, God set forth Christ to be a propitiation. (Romans 3:25) The sinner must be condemned, God wants to save the sinner. The Bible is not the record of man searching after God, but it’s the record of God searching after man. The judge died for the defendants. It’s a miracle- The just dying for the unjust. The three major Imputations of the Bible. Impute= add to 1. Adams sin was Imputed to the human race. 2. My sin and yours was Imputed to Jesus Christ. 3. God’s Righteousness was Imputed to all Believers. The miracle of Justification is that we are sinners and Christ died for us. We are justified with His blood. Because of Justification we have Hope. Our hope concerns the future. Something good in the future, something possible in the future- the coming again of Jesus Christ. That is our hope. Back in the days of Moses the High Priest went to the Holy of Holies once a year. Because of Justification we have access to the Throne of God immediately. We don’t need to wait. I don’t need to provide a sacrifice. My sacrifice was already offered by the savior Jesus Christ. God justifies only those who believe in Jesus. Everyone believes in something and everyone serves someone. 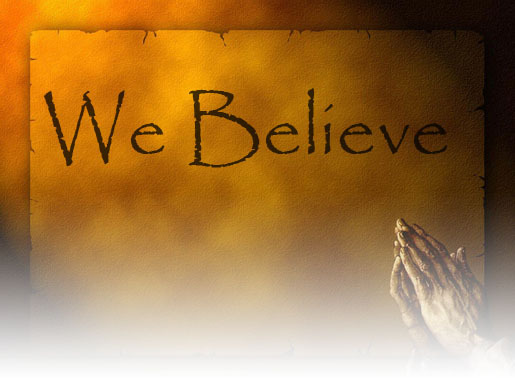 THE ONLY BELIEF THAT COUNTS WITH GOD IS BELIEF IN THE LORD JESUS CHRIST. I have the invitation. You have the invitation. If you haven’t accepted it do it now. Don’t ever forget the Judge paid your fine. The Judge took your punishment. It is the only Judge that will ever do that for you. Enter the Kingdom. Tell Jesus you believe, you understand you are sinner and want to be saved by his grace. Ask Him into your heart to save you from the chains of Hell. The “I AM…I AM” assertion. When we read the Bible in its entirety we can see there is no doubt Jesus is claiming full equality with the other members of the Godhead. Most specifically one saying speaks volumes for His deity and that saying is “I AM… I AM” which is an implication that He is the one and only God. That He is the self-existent one, identifying Himself with the Old Testament deity, “I am the Jehovah of the Old Testament”. To be very clear it is important to point out the relationship to this particular saying and the deity of Christ. This saying is clearly showing Christ’s deity and the fact that He is the one God. Leon Morris said, “John’s use of the expression is distinctive. We get nothing like it anywhere else in the New Testament (except for a handful of passages in the synoptics); thus we must recognize that John is using the hallowed expression to bring out the truth that his Master was one with a special relationship to the Heavenly Father, a relationship in which he must be thought of as partaking in the nature of deity, and a relationship which does not compromise the truth that there is but one God. One of the most powerful claims Jesus made during His life was “Before Abraham was I AM”. That statement relates back to the burning bush incident with Moses in Exodus 3:13, “And Moses said unto God, Behold, [when] I come unto the children of Israel, and shall say unto them, The God of your fathers hath sent me unto you; and they shall say to me, what [is] his name? What shall I say unto them?” What we see here is Moses asking God, “What is your name?” And then we see the answer in verse 14, “And God said unto Moses, I AM THAT I AM: and he said, Thus shalt thou say unto the children of Israel, I AM hath sent me unto you.” So He tells Moses, I AM who I AM. God wants him to tell them His name is “I AM”. When Jesus used this name He used the name of the one and only God, the true sovereign Lord. Jesus was making it very clear. He was saying, “Let me be clear, I am the one and only I AM”. So we see that Jesus is naming Himself the very name of God and the Jew’s knew it. They recognized the language. When they heard it they rejected the claim and picked up rocks and they tried to stone Him. John 1:1 says, “In the beginning was the Word, and the Word was with God, and the Word was God.” This verse emphasizes the preexistence of Jesus. Philippians 2:6 shows that Jesus possessed all the attributes of God which includes preexistence. John 17:5 says, “And now, O Father, glorify thou me with thine own self with the glory which I had with thee before the world was.” Therefore, He had glory with the Father before the world began. He is the great “I Am…I AM”. Continue to the next post and we will review the Holy Spirit in respect of Deity. Leon Morris, Jesus Is the Christ (Grand Rapids, MI: Eerdmans Publishing, 1989), 125. M.M. Ninan, “I AM”, Symbols Jesus Used to Explain Himself (Glendale, Wisconsin: Global Publishers, 2005), 9. Morris, Jesus Is the Christ, 109. Barry Davis, The Claims of Christ: What Jesus Had to Say about Himself (Bloomington, IN: Writers Club Press, 2001), 11. Warren Wiersbe, Jesus in the Present Tense: The I AM Statements of Christ (Colorado Springs, CO: David C Cook, 2011), 11. Three in Deity, that is…not in a 3-D movie. This series of posts will address the question of deity among the three persons of the Trinity. Each part of the trinity will be examined on its own and also as a body of one. It is necessary to see the Triune God as one being yet consisting of three persons. It is important for Christians to study this theological mystery to know who to worship, who to pray to and who to believe in. Some think the Trinity is simply a spiritual power that God uses to complete His will. These posts will serve to repudiate that theory. We all know that not everyone will believe everything and some need more facts than others while still there are others that no amount of facts will be enough. With that said; going forward these posts will assume the reader believes the Holy Bible to be the inerrant and inspired word of God and was authored by God Himself. The existence of God and the doctrine of the trinity are asserted and declared throughout the testimony of the Bible. It is for this reason the belief in the Bible must be first and foremost. It is also necessary to understand there is a subordination aspect to the Trinity in that the Son is subordinate to the Father and the Holy Spirit is subordinate to the Son and the Father. This is not a topic to be covered in this thread and I bring it up to separate the subject of equality from deity. Each part of the Trinity is divine but not in every sense equal. We as mere mortals can never completely understand the origins of God or the mystery of the Trinity. With tongue in cheek I enjoy the words of a writer from many years ago that mentioned the doctrine of the trinity justly excites our wonder, and confounds the imbecility of our minds.” That was well said! When we think of the doctrine of God we must also think of the Trinity. The word Trinity is not a Biblical word but it is used by mankind and has been used for ages to describe the magnificent three part manifestation of our one true God as the Father, the Son and the Holy Spirit. The word trinity is indicating that God is one being but has three co-existing persons in the Godhead of the Father, the crucified Son and the Holy Spirit. The word ‘person’ as used to describe the parts of the Trinity, is not used in the same context as a human person. It is however, used to describe the personal relationship between the triune Godhead and signifies the loving relationship between them. The doctrine of the Trinity is not specifically mentioned in scripture, however, there are enough suggestions of the deity and the unity of the three that it is understandable why the church came up with the doctrine and we can also deduct they were correct in developing it. We are not holding onto this doctrine because it presents itself to us or we understand it. We hold onto the Trinity because God through His revelation is showing us what He is like. We want to be like Him. Try to explain it, and you’ll lose your mind; But try to deny it, and you’ll lose your soul. In the next post will be an examination of the deity of the three beginning with the Father. Click here to go to PART 2. William Evans, The Great Doctrines of the Bible (Chicago: Charles Aldarondo, Charles Franks, [1950?]). Samuel Stanhope Smith, Of the Principles of Revealed Religion; 1st of the Holy Trinity: A Comprehensive View of the Leading and Most Important Principles of Natural and Revealed Religion: Digested in Such Order as to Present to the Pious and Reflecting Mind, a Basis for the Superstructure of the Entire System of the Doctrines of the Gospel. (New Brunswick, NJ, US: Deare & Myer, viii, 1815). David Horton and Ryan Horton, eds., The Portable Seminary (Bloomington, MN: Bethany House, 2006), 93. Millard J. Erickson, Introducing Christian Doctrine: Second Edition (Grand Rapids, MI: Baker Acedemic of Baker Book House, 2004).